Volusia County, FL – A new study that lists Florida’s 50 safest cities has two Volusia cities on it. According to SafeWise, those cities are Edgewater and Port Orange. 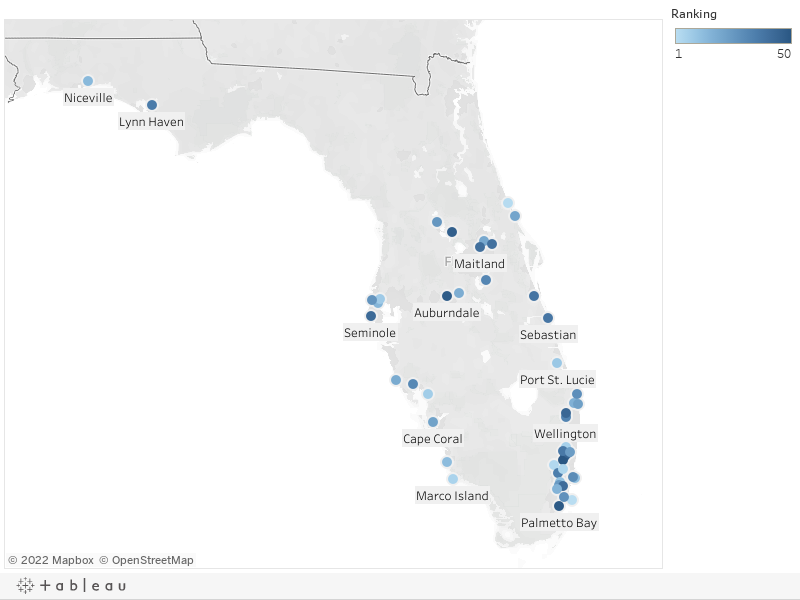 Their study, which originally studied 20 cities, examined 50 cities throughout the State of Florida, all of those cities limited violent crime to fewer than 2.5 incidents per 1,000 people. For comparison, the national average is 4.49 incidents per 1,000 people. Just under the number one spot came Port Orange as second safest in the state. With a median income of $48,478, Port Orange was found to have around 0.52 violent crime incidents per 1,000 people. However, Port Orange had over 25 incidents per 1,000 people when it came to property crime, which is the highest rate out of the top 10 on the list. The only other Volusia city that came in remotely close to the top was Edgewater, sitting in the 21st spot. Edgewater had a slightly elevated crime rate at 1.26 incidents per 1,000 people, but a lower property crime rate at 21.25 incidents. And while their study highlights the 50 safest cities in the state, a total of 142 were studied. The next Volusia city on the list was South Daytona, which came in at number 74 on the list, with 3.42 incidents occurring per 1,000 people. New Smyrna Beach and Ormond Beach were next at 79th and 86th, respectively. DeLand also came in at the 100th spot and Daytona Beach ranked 137th, just five spots from the bottom of the list. No Flagler cities were on the list.